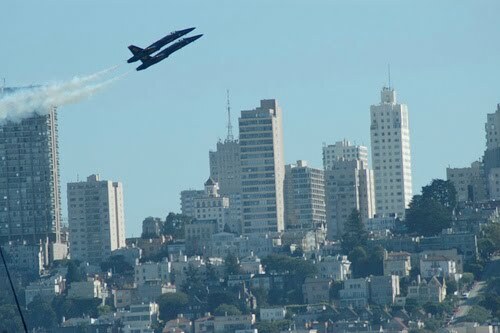 I always loved hearing the zoom of the Blue Angels when I worked in a downtown high rise. 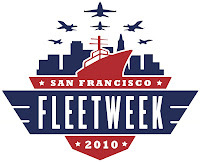 Take the famiily to Fleet Week in San Francisco, and see the Blue Angels with your own eyes. 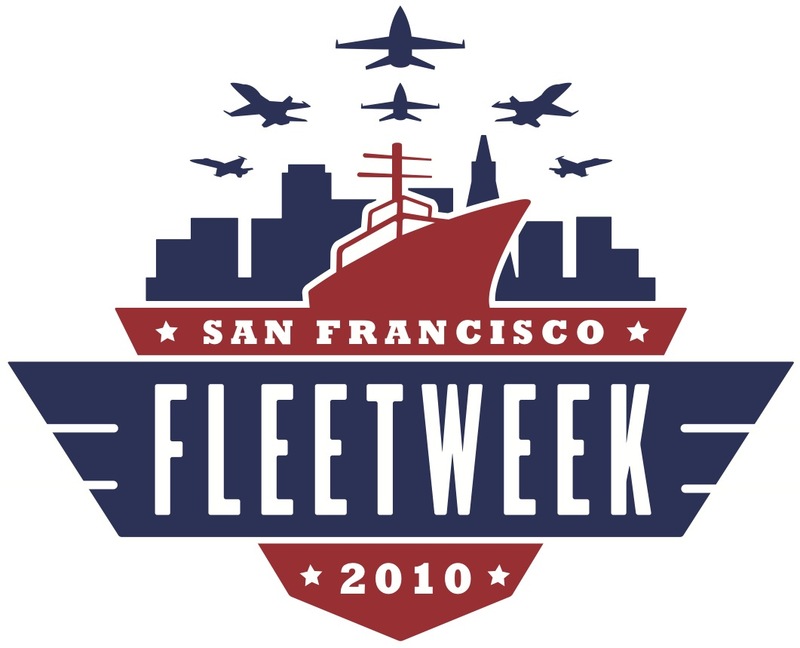 Fleet week is October 7-12, 2010. You can tour ships (no kids under age 4), watch the air show (the planes have a 'circle and arrival' ceremony on Thursday, October 7 at 1 and 5 p.m.) - several air shows in addition to the Blue Angels. Ship tours are Saturday and Sunday from 10 a.m. to 4 p.m. The parade of ships is Saturday from noon to 1 p.m. The Blue Angels will fly on shows are Friday, Saturday and Sunday, from 3-4 p.m. .
For a full schedule of events, check the Fleet Week website, and download the schedule PDFon the top, left side of the website. Pier 39 will host events and music in their plaza on October 9-10. Saturday, October 9th, they'll host a live military band performance from noon -2 p.m., followed by hits from the 80's with Pop Rocks from 4-7 p.m.
On Sunday, October 10, you can dance to a military band performance from noon – 2 p.m., then sing along with The Cheeseballs (they're awesome) from 4-7 p.m. They'll also have military exhibits on display throughout the day in PIER 39's East and West parks. During Fleet Week (October 7-12), the San Francisco Zoo will offer Armed Forces members, and their families, free admission. 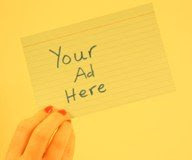 You need a valid military ID, and 4 per family are welcome at no cost.